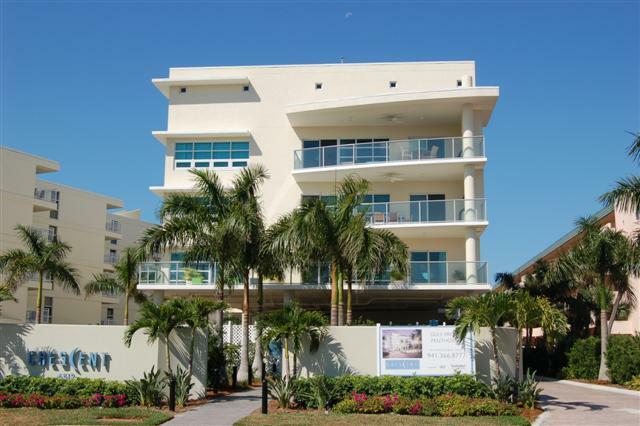 ENJOY ONE OF SIESTA KEYS NEWEST COMPLEX (SPRING 06) OFFERING LUXURY LIVING AT ITS BEST. BEAUTIFUL 2 BEDROOM / 2 BATH UNIT WITH LOTS TO OFFER. COMPLEX OFFERS 2 POOLS, 1ST JUST OFF THE WORLD FAMOUS SIESTA BEACH AND THE 2ND, IS AN ELEVATED POOL LOCATED ON THE 2ND FLOOR IN THE MIDDLE OF COMPLEX & A SMALL WORK-OUT ROOM. BEACH CHAIRS AND 2 ASSIGNED PARKING SPACES PROVIDED. UNIT HAS A SPLIT FLOOR PLAN WITH UPGRADED FURNITURE, GRANITE COUNTERTOPS, STAINLESS STEEL APPLIANCES, WASHER / DRYER, OPEN BALCONY. GRILL ON BALCONY IS INOPERATIVE AND CANNOT BE FIXED, 3 TVS AND 3 DVD. ( HIGHSPEED INTERNET AVAILABLE AT THE DESK IN MASTER) SIESTA 4 RENT OFFERS NO TECH SUPPORT. MAX. SLEEPS 5, 1 KING, 1 QUEEN, 1 TWIN SOFA SLEEPER. FEB & MARCH - 1 MONTH MIN ,JAN & APRIL - 2 WEEK MIN., MAY - DEC. - 1 WEEK MIN.